The NCOCA Leadership was touched by how many of our Ohana made the drive on a work night to support the very 1st Polynesian Heritage Night at the Sharks tank. All around smiles and Aloha spirit, we are so very proud of NCOCA! 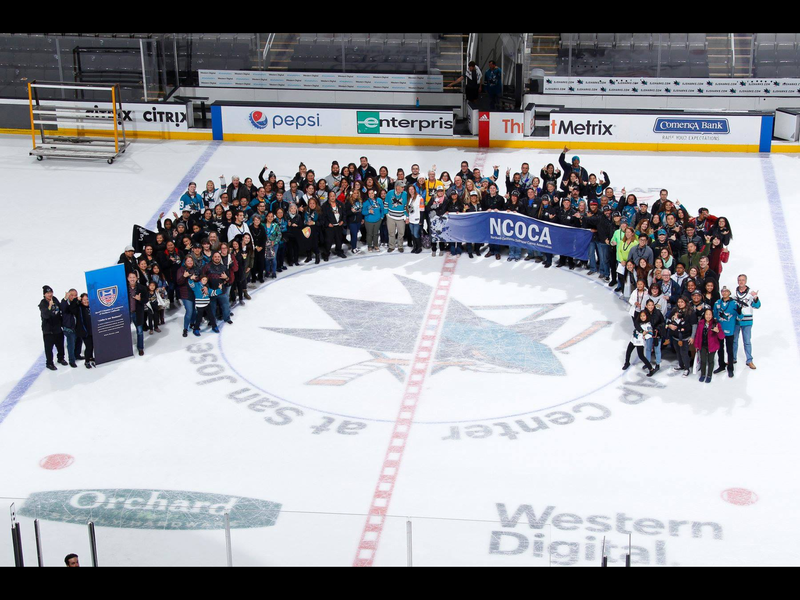 Special Mahalo to Ana Vargas and Tai Boutell of Santa Cruz Outrigger for working with the NCOCA, San Jose Sharks, and helping to organize and purchase tickets on behalf of our membership. Aloha - On behalf of the San Jose Sharks, we'd like to thank you for attending our 1st ever Polynesian Heritage Night. It would not have been possible without you! Please find the attached post-game photo of our big ohana. We all look forward to growing this night and its continued success.